A plan crafted by residents to identify suitable areas for housebuilding is in the process of being updated – and now a town council is inviting residents to comment on changes. In 2014, Arundel was the first town in Sussex to have an adopted neighbourhood plan – and just the 13th in the country. Since then, planning regulations have changed, many more neighbourhood plans are in place and, significantly, Arun District Council’s local plan has been adopted. This has led to the need for Arundel Town Council to commence a review and update its plan. A steering group was set up and held its first meeting in January and since then it has gauged residents’ views, tested potential new housing sites and discussed other town centre development ideas at a series of public meetings and focus groups. On Thursday, the town council unanimously approved a draft of the updated neighbourhood plan. A formal consultation will run until December 21. 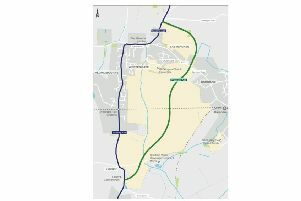 The plan allocates two new sites for housing in Arundel – a site off Ford Road for 90 homes, of which 30 per cent would be affordable, and the old police station site, for 12 homes. These will provide around 100 new homes for the town and fulfil the quota set by Arun. The updated plan will include several policies from the original document, as well as updated policy on the Blastreat/Greenhurst site in Fitzalan Road to protect the existing old Swallow Brewery structure – in line with residents’ wishes. Other policies have been drafted to ensure that Arundel continues to be an important heritage, market town and cultural centre for both residents and visitors alike. Arundel needs to carry out this update to their plan and provide for more housing in the plan period, because without it the town may be vulnerable to predatory development on sites which are not in line with residents wishes, the town council said. Residents can view copies of the plan at the town hall, Arundel Museum, Arundel Library and Arundel Surgery. Steering group chairman and deputy mayor, councillor James Stewart, said: “The key strengths of Arundel are the community spirit, its location on the Downs, straddling the river Arun, proximity to the sea and its long history mixed with contemporary culture. “However, it is easy to see the town with rose-tinted spectacles, only see the positives and so not see the need to change.